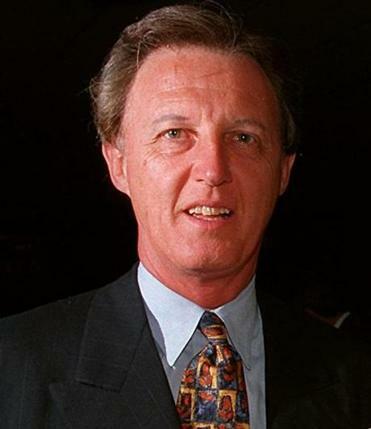 When David Finnegan took a second shot at running for Boston mayor in 1983, he had been a lawyer, School Committee president, and host of a popular talk show on WBZ-AM. He could also croon a Rodgers and Hart tune in a fine Irish tenor. Challenging the four-term incumbent, Kevin White, Mr. Finnegan settled on what seemed like a winning slogan: “Finnegan or him again,” which neatly cast the election as a two-man race that separated them from other candidates. Then White unexpectedly dropped out. Left with 35 costly billboards bearing an outdated slogan, and a strategy suddenly adrift, Mr. Finnegan slipped from front-runner in the polls to third in the preliminary election, behind Mel King and eventual winner Raymond L. Flynn. Mr. Finnegan, who hosted an issues show on Channel 7 in the 1980s, and for many years focused on insurance issues in his law practice and lobbying, died of lung cancer Monday in Bluffton, S.C. He was 74. “The best thing about running against David Finnegan was after a hard-fought campaign, you knew you made a good friend,” Flynn said. In the 1979 mayoral contest, Mr. Finnegan finished fourth in the preliminary behind White, Joseph F. Timilty, and King. Months later, he launched his WBZ radio show, which ran from 6 to 10 weeknights. Top-rated in its time slot, the show reached markets far beyond New England and gave him greater name recognition in Boston. Mr. Finnegan used his intellect and legal training while conversing with callers. Better known after his three-year on-air conversation with voters, Mr. Finnegan left WBZ to run for mayor again in 1983, only to see his candidacy falter. Part of a successful political family, he had seemed groomed for office. His father was one of the first Irish-born state senators in Massachusetts. Mr. Finnegan’s brother John was a state representative and auditor. Another brother, Joseph, was a administrator in the state Mental Health Department before becoming vice chancellor of the state Education Department’s board of regents. Still, Mr. Finnegan downplayed suggestions that connections smoothed his path. Mr. Finnegan returned to graduate school and received a master’s from Harvard in 1999. Adapting a Globe op-ed piece from his political theory thesis, he analyzed city voting records, demographics, and the impact public policy initiatives had on the electorate. “Boston’s future is being decided by fewer and fewer voters,” he concluded. The second youngest of nine children, David Ignatius Finnegan grew up in the Neponset part of Dorchester. His father, Joseph Finnegan, emigrated from County Mayo, Ireland. His mother, the former Julia Kendrigan, was the daughter of Irish immigrants. Mr. Finnegan attended St. Ann Grammar School, played French horn and drums in the school band, and graduated at Boston English High in 1958. He received a bachelor’s degree from Stonehill College in 1964 and finished Boston University School of Law three years later. To pay for his education, he worked in the Globe’s display advertising department. In 1964, Mr. Finnegan married Patricia Harden. They had four children and their marriage ended in divorce. Mr. Finnegan first sought a School Committee seat in 1973, losing by a few hundred votes. He was elected in 1975, reelected in 1977, and served as committee president before his first mayoral bid. After the 1983 election, he practiced law and cofounded the firm Finnegan, Underwood, Ryan & Tierney, and was an insurance lobbyist. In 2007, Mr. Finnegan received an honorary doctorate from Stonehill, on whose board he served for many years, including as chairman. A service will be announced for Mr. Finnegan, who in addition to his brother leaves his wife, the former Ellen Olsen of Bluffton, S.C.; three sons, David of Boston, Joe of Los Angeles, and Michael of Nashville; a daughter, Trish Giampaoli of Naples, Fla.; three other brothers, Joseph and John, both of Naples, Fla., and Thomas of Dorchester; two sisters, Eleanora Golden of Delray Beach, Fla., and Julie Matzel of Mashpee; and four grandchildren. Correction: Because of a reporting error, this obituary originally incorrectly stated the year David Finnegan married Patricia Harden. They married in 1964.